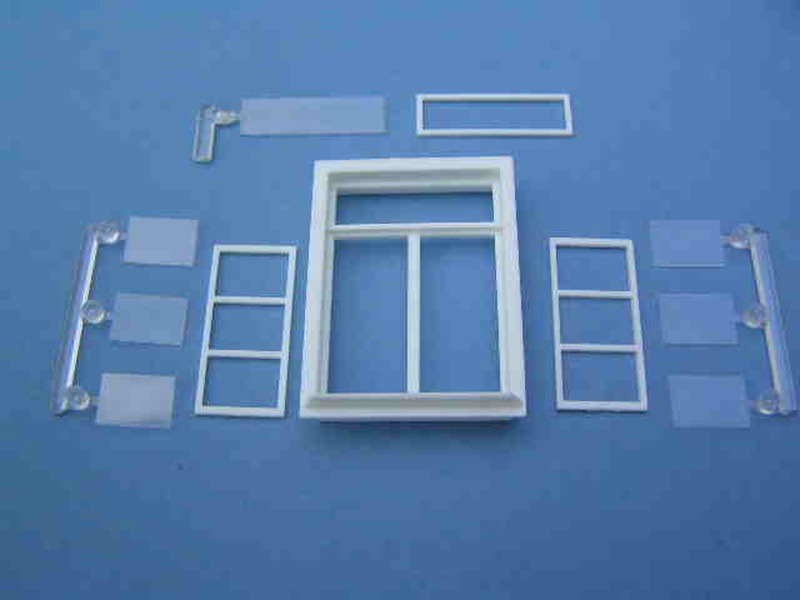 3 window glass frames and 7 clear plastic "Glass" pieces. 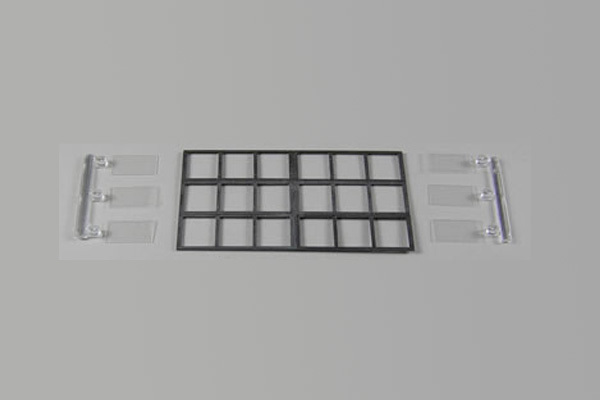 For wall opening of: 1¼" x 2"
Includes Frame, Individual "Glass" Panels and Shutters. 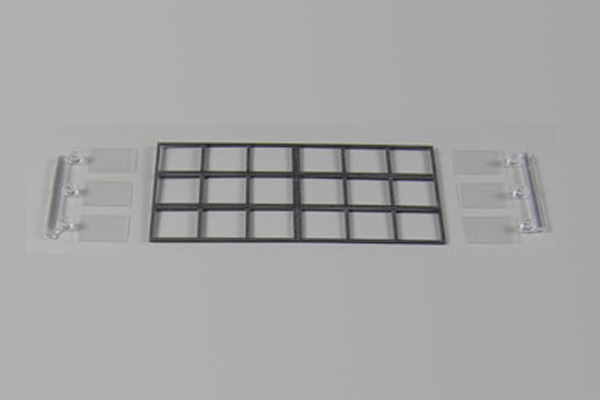 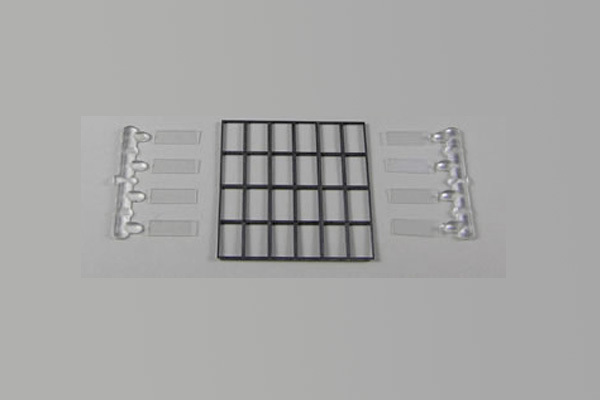 Hints and tips: Individual thin "glass" panels can be glued in, left out or broken. 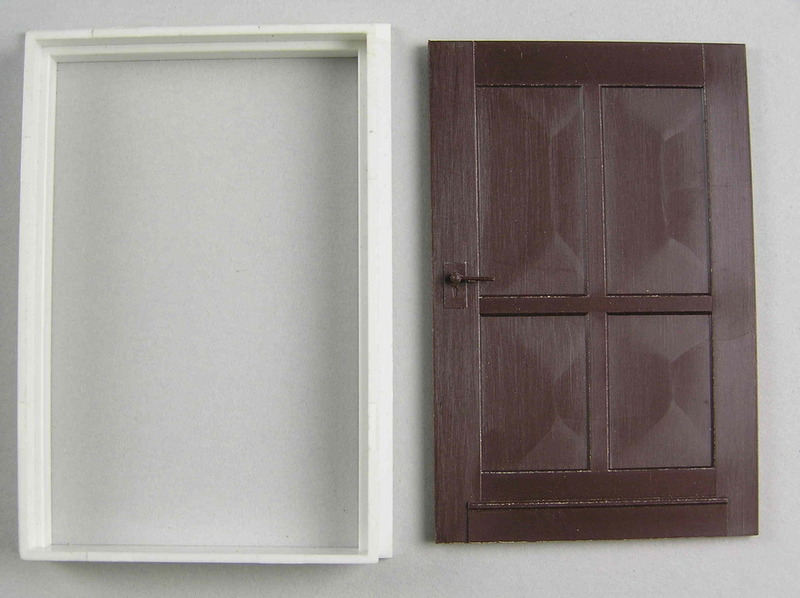 Frames are black-brown color and don't need painting. 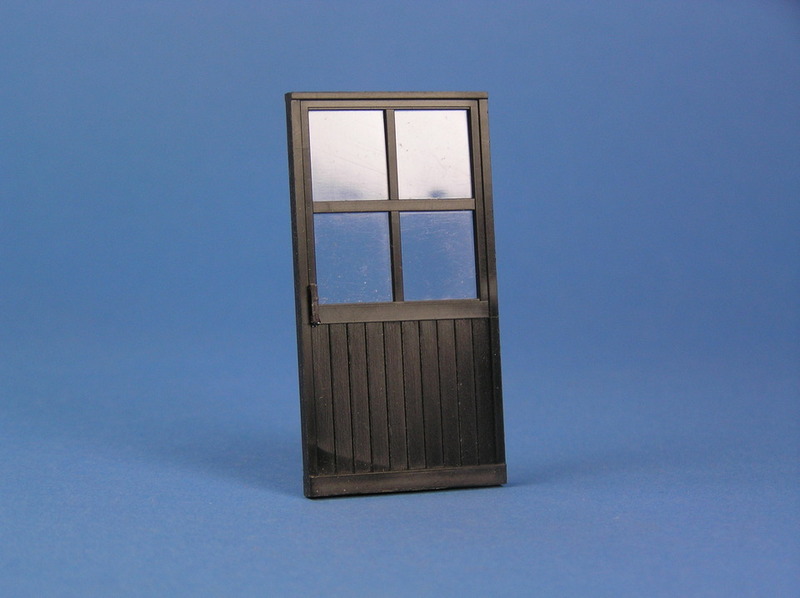 Can be assembled in different heights and widths as needed. 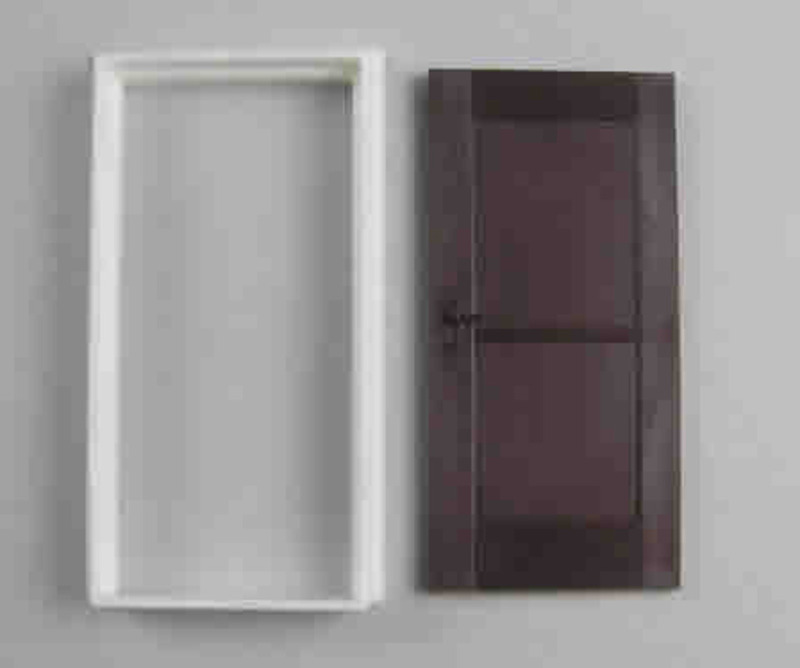 Same frames can also be gotten in white. 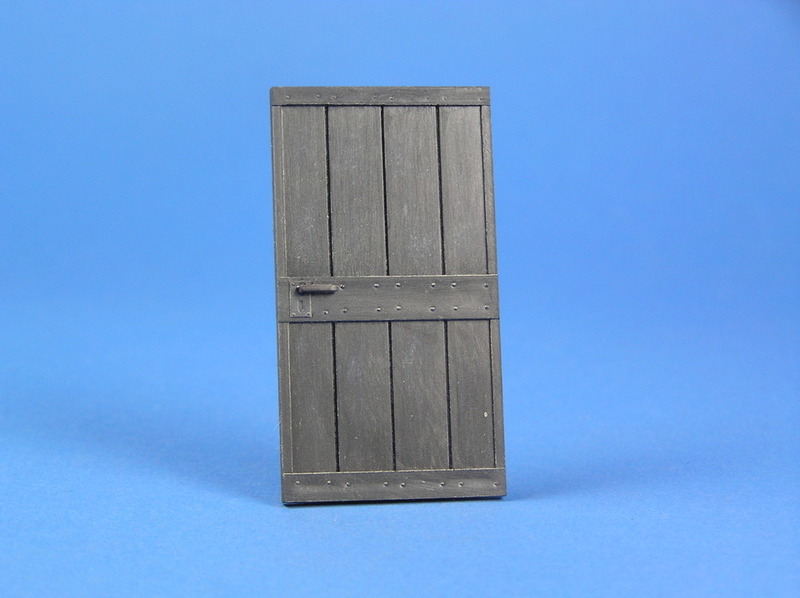 No Casing 1 " x 2"
Farm/Factory Door with Casing and Handle. 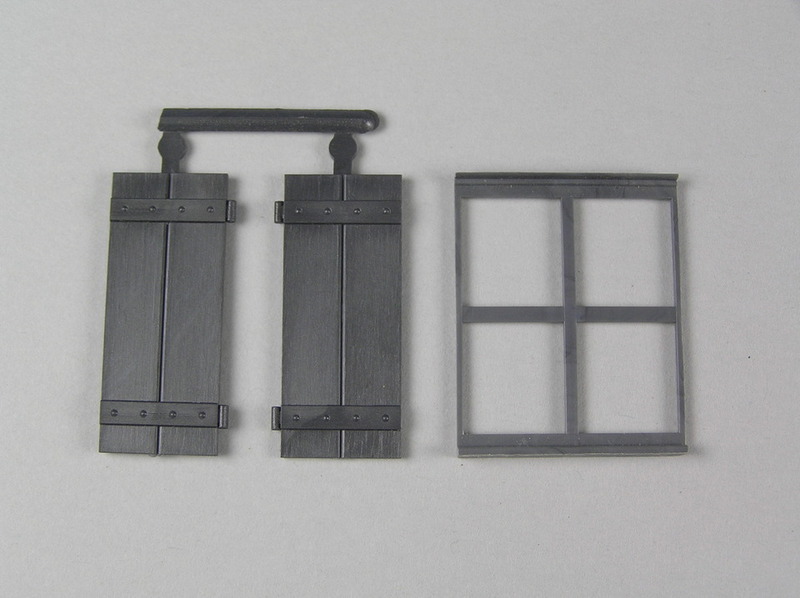 Window, Casing, Handle and "Glass"
Folds from 3/8" to 1-1/4". 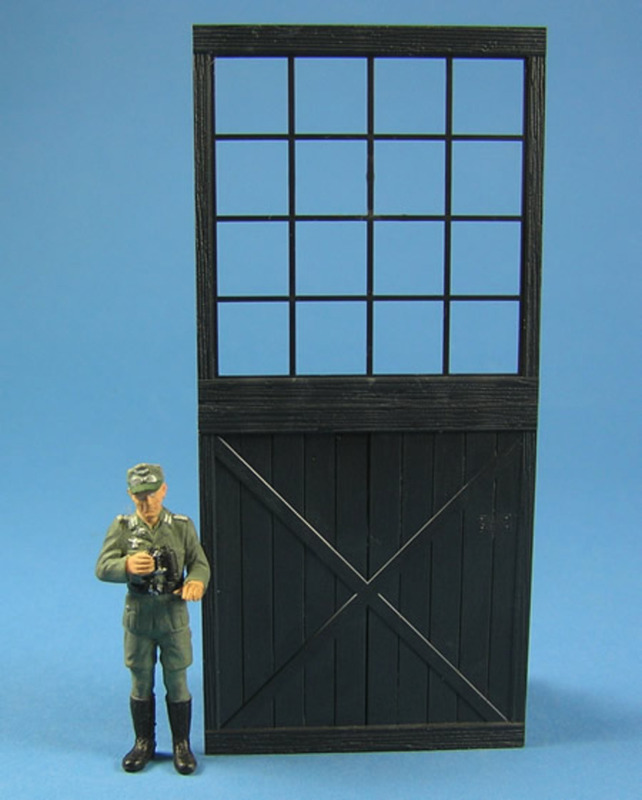 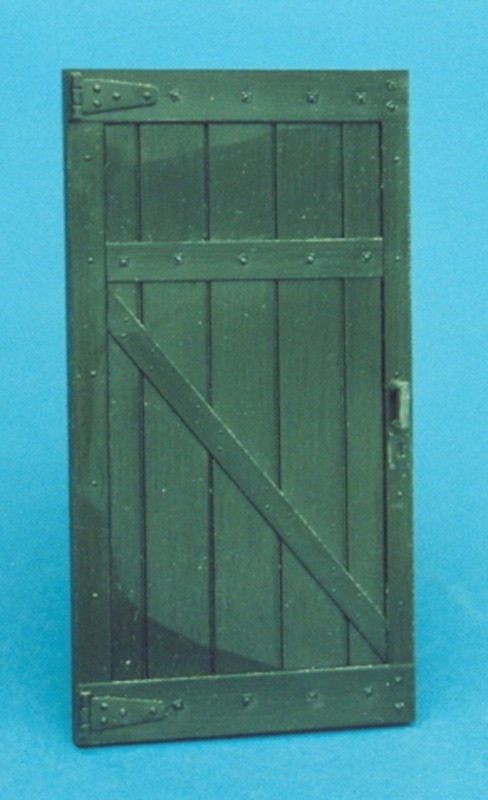 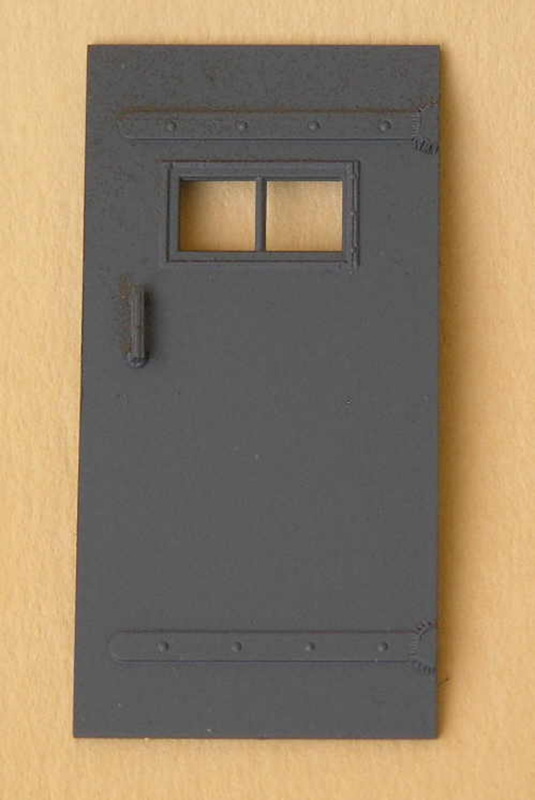 One door is 1-1/2" x 2-3/4"
Includes Left and Right Door. 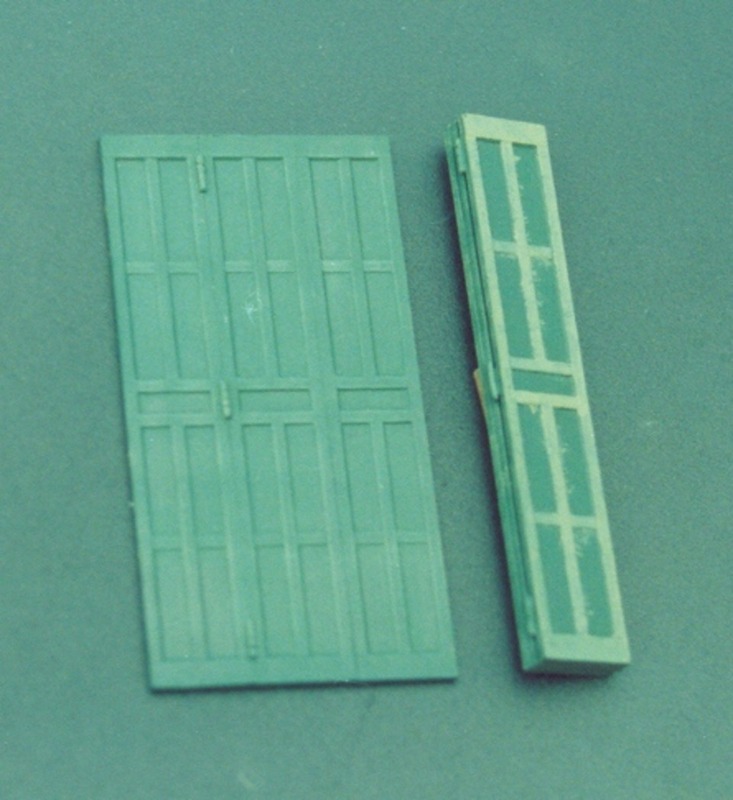 2 -1/2" x 5 -3/4"